Yes, please. We'd certainly appreciate that. I like to think of a Man's guns as his legacy to be appreciated. Late here but also real sad to hear of your father's passing, JC. That's rough. Especially going over all that stuff and everything. But sounded like a good man and a good dad. And, yes, seems he went as he wished, I understand where he was coming from there. Anyway, sounds like you've stayed firm though the whole ordeal which I admire. Definitely remember to cherish all the good times and memories. Among them those items of course. Best to you and your folks. I don't know what else to say as nothing would really sound right. 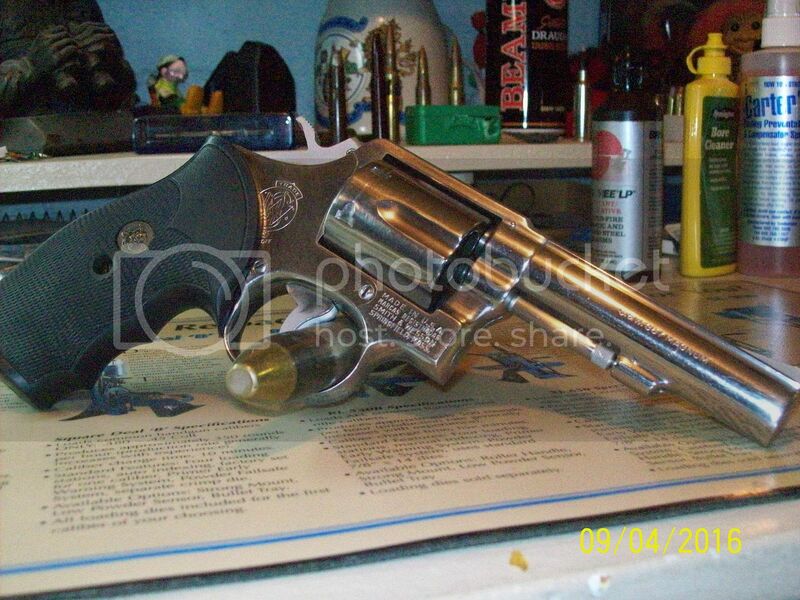 My father's S&W 4586 that was issued to him brand new in 1991 when Idaho State Police switched to semi-autos. It was presented to him as a retirement gift in 1994. It's now mine. See the holster wear? I've taken it to the range. It was never meant to be a safe queen. 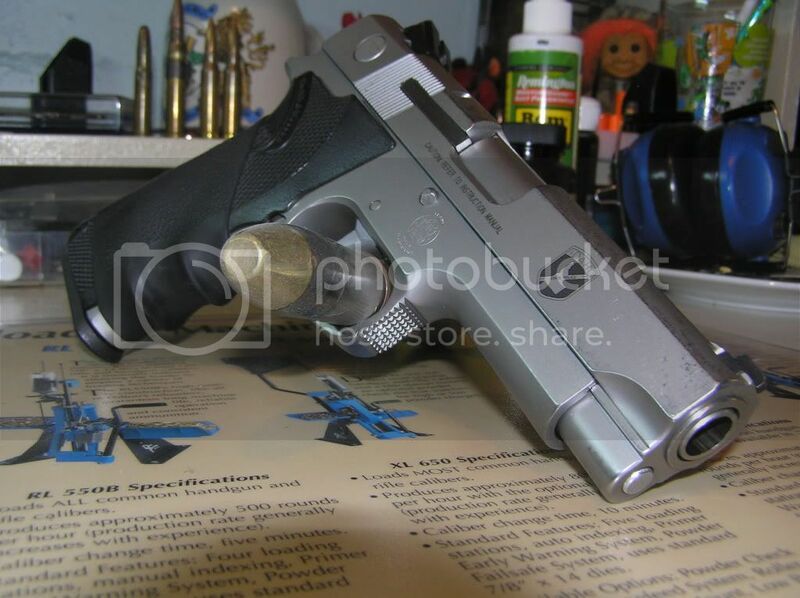 Within the next couple days I'll post photos of the other handguns. Last edited by Jcordell; 11-15-2017 at 06:19 AM. 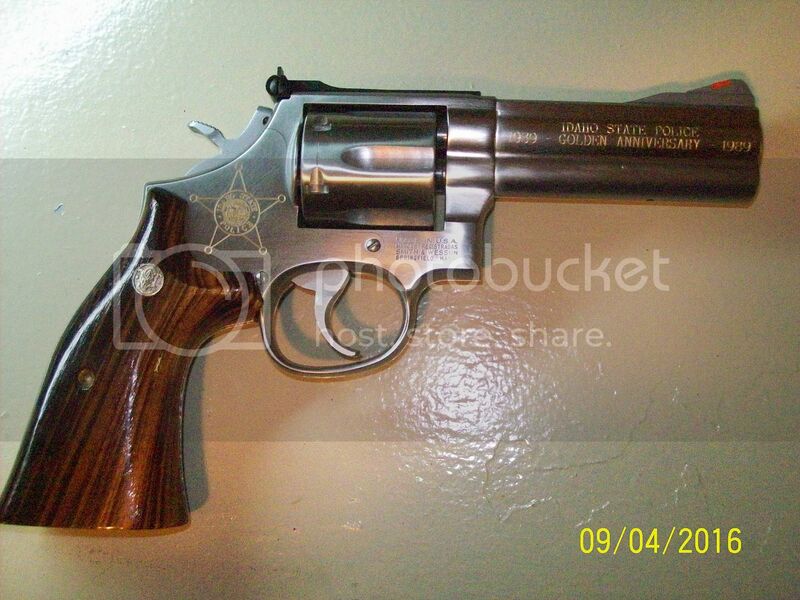 The special order Model 686 that Smith & Wesson made for Idaho State Police to commemorate that organizations 50th Anniversary (1939-1989). Came in a wood presentation box. Dad was very proud of this revolver. Never fired and it never will be. That's how he wanted it. Here is the Smith & Wesson Model 65 (357 Magnum) that dad actually carried from 1979 - 1991 (when ISP switched to the S&W Model 4586 auto pistol). It was a worker bee and I have already taken it to the range and fired it. It's meant to be used. Last edited by Jcordell; 06-17-2017 at 03:20 AM. Among the pieces that I have inherited on dad's passing is the Colt Combat Commander that he purchased in 1976 from a fellow state trooper. Manufactured in 1974 it started life as a blue steel model. In 1978 dad sent it off to Texas and had a hard chrome finish applied which still looks great after thirty-eight years. 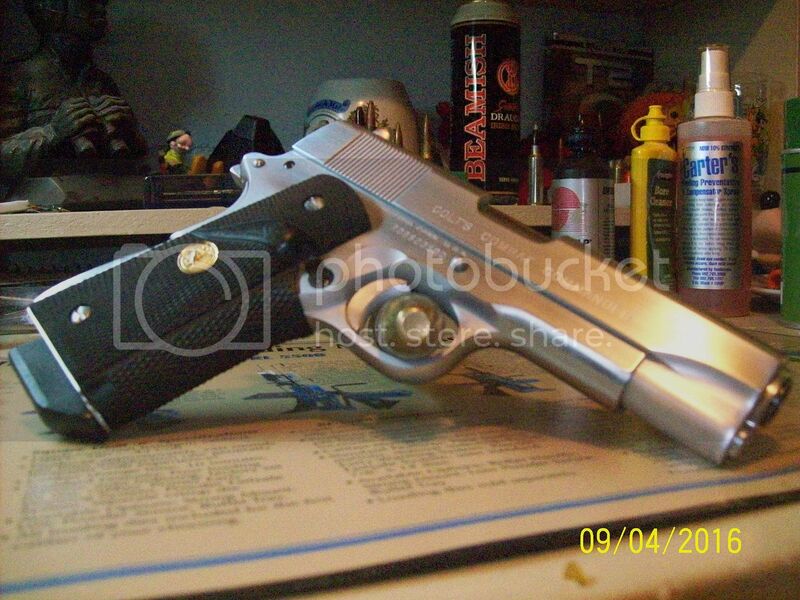 I started shooting in 1980 and this was one of the first handguns dad started me out on. I have very fond memories associated with this Commander, but nothing perfect. In the case I have never liked the nubby little grips safety tang and I'm a lefty. A few years ago I mentioned this to dad and he told me that one day his guns would be mine (both of us figured it would be many more years) and I would be able to do what I want. So I'm sending the Commander to a competent local gunshop , that I've dealt with before, to have an beavertail safety and an ambidextrous safety put on. I'm also considering changing the sights. I'll hold onto the original components, but I'm not worried about ruining the collectability since dad took care of that way back in the seventies with the hard chrome finish - which I have always liked. I'm just modifying it to suit me. It's a keeper and will eventually go to one of my kids and they can do with it what they want. Sorry about the photos. I had to use my wife's old Kodak. Last edited by Jcordell; 09-05-2016 at 02:52 AM. 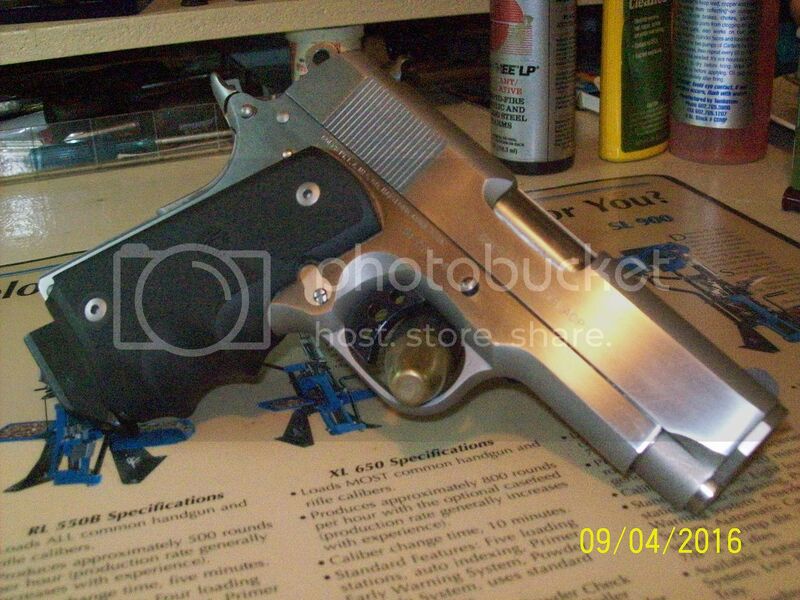 Colt Officer's Model ACP Series 80. 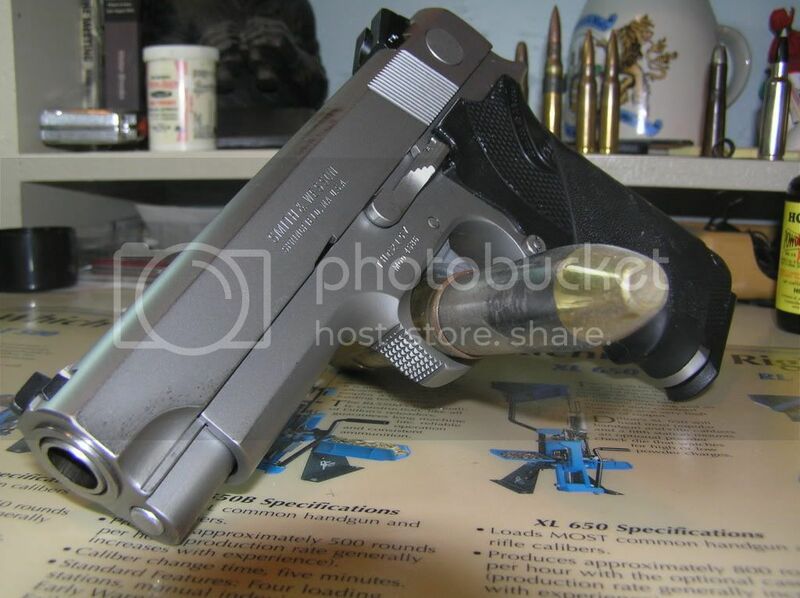 This was easily one of dad's favorite handguns by far. He purchased it new in 1988. He put a lot of money into it and shot it so much that he actually went through a barrel in the mid-nineties (after he retired). However I never cared for it, but with dad's passing I just didn't feel right getting rid of it. It was my wife's idea to see if my son would want it. Marc was thrilled to get it. 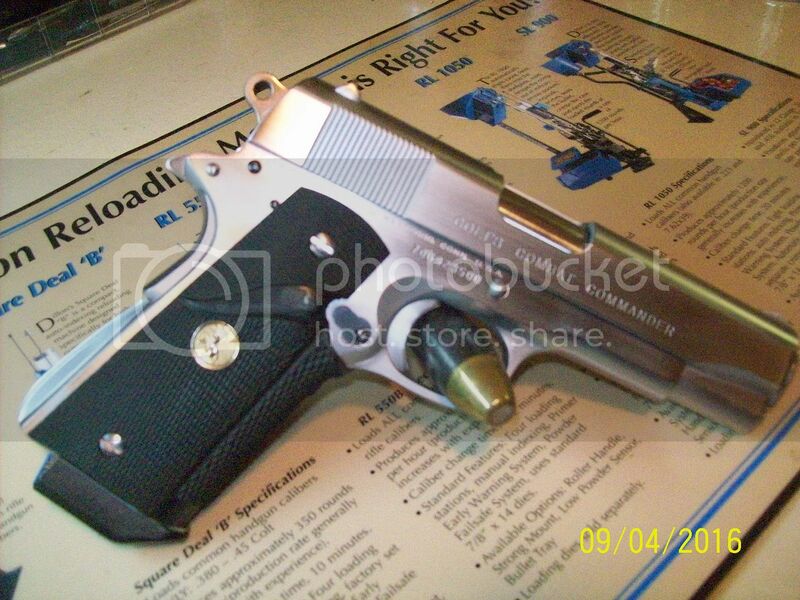 A compact, short barreled 45 Colt appeals to him and it was grandpa's gun which makes it even better. I took him to the range and he put a couple boxes through it. Loved it. Dad would be happy that Marcus appreciates it and I'm happy as well. Right now Marcus is away at Coast Guard basic training (Cape May, New Jersey) and then he has a four year enlistment. I'll hold onto it until he can either have it sent to him or when he gets out (he might end up in a anti-gun state). The important thing is it's staying in the family. However I cleaned it today. Next time Marc gets that chore. Last edited by Jcordell; 09-06-2016 at 03:27 PM. Beautiful pieces! 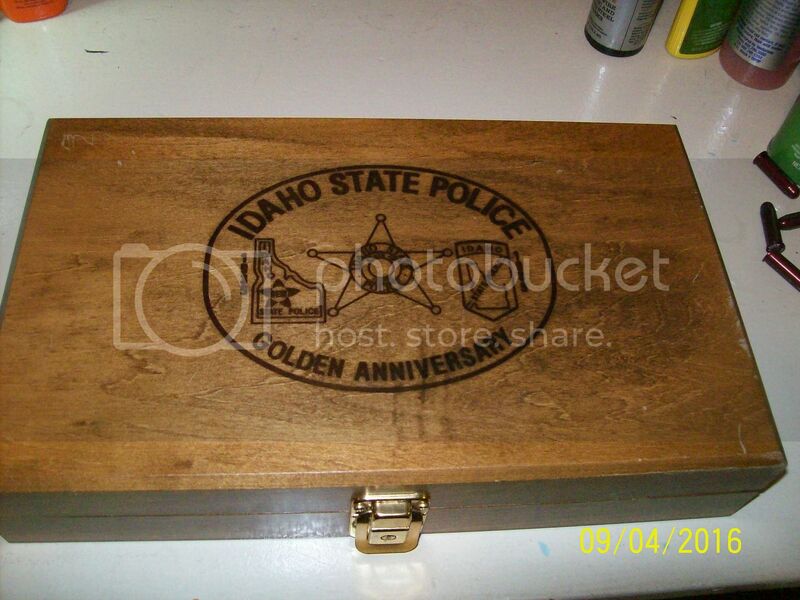 I really like the Idaho logo on the 4586! The RCMP 3953s and 5946s have something similar on them, but they'll never be available to collectors. Glad your son will get and appreciate the Officer's Model, I'm sure that would please your dad. I actually don't think period customization is a deal-breaker on collectability - I once played with a Police Positive with a 1930s era King conversion vent rib barrel and I'd have bought it in a heartbeat! I actually like some older pieces that have had skillful conversions done. I have no doubt that if dad was here he would tell me that the Commander is now mine and to do what I want to it. Dad had no trouble converting his guns. He sent that little Officers Model down to Kings to have work done on it.